In an alternate version of current-day Oakland, California, Cassius Green discovers a gift that helps him rapidly succeed in his new role as a telemarketer, propelling him up the ranks and into a universe of greed and grotesqueness. Sorry to Bother You is a weird film. This is not a bad thing at all, you just need to be in the right frame of mind to get the most from it. Its off-beat humour and style can be enjoyed by all: for example, close-up shots and sound effects to showcase Detroit’s impressive earring collection, and a photo whose subject’s pose changes to reflect how Cassius feels – deep down inside – about various decisions he’s just made. There are several sharp, laugh-out-loud lines too, which help keep the dialogue snappy. Cassius (Lakeith Stanfield) and Detroit (Tessa Thompson) are good central characters (well, main character and main character’s girlfriend), who enjoy a realistically portrayed relationship. It is wanting to impress his girlfriend and feel worthy of her that leads Cassius to seek employment at a telemarketing company. While there, he makes friends with his fellow workers (an entertaining bunch) and starts to chase the fabled status of ‘power caller’. The film has a lot to say about working life and loyalty, as well as bias: Cassius discovers an uncanny ability to put on a ‘white person voice’, which helps his sales rocket through the roof. After his promotion, his colleagues strike but Cassius crosses the picket line, keen to enjoy his new, swankier life as the toast of the company. 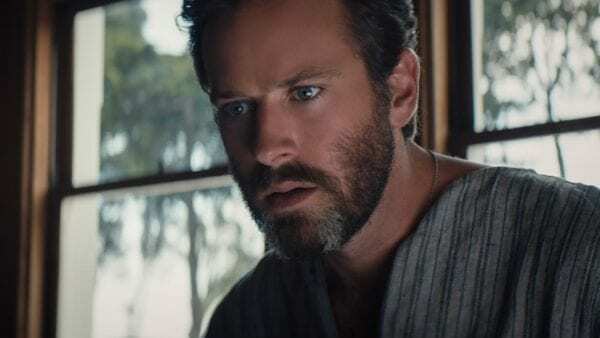 Armie Hammer is very well cast as the far removed from reality, amoral, rich, white boss, who recognises Cassius’ hunger and ambition and wants to reward him with a new, extremely lucrative contract. It comes, however, with a very high human price. Hammer’s career continues to hit its stride following Call Me By Your Name, now he’s managed to break free from the shackles of type-casting. His efforts were absolutely worth it, as he displays excellent (and dark) comedy chops in this role. Danny Glover pops up as an older colleague, keen to share his downbeat wisdom, which Cassius tends to ignore. Terry Crews also appears, playing Cassius’ uncle (who he lodges with) – and who doesn’t love it when Terry Crews pops up? 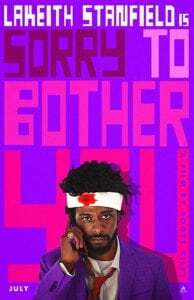 The potentially divisive problem with Sorry to Bother You is its last half hour, which is like a totally different film, coming at you from the side. It becomes a rather grotesque almost-horror movie, something that isn’t even hinted at earlier on. The change of pace is rather abrupt too as, despite the pacey dialogue, the majority of the film is a little slow and meandering. It suits the style of director Boots Riley, who enjoys asides and side bars, and handles them with aplomb, but it undermines the previous focus of the film (if you’d worked out what that was). The film’s final climax is menacing, and in fairness does continue with an earlier theme of workers’ conditions – but in a much more bizarre way. 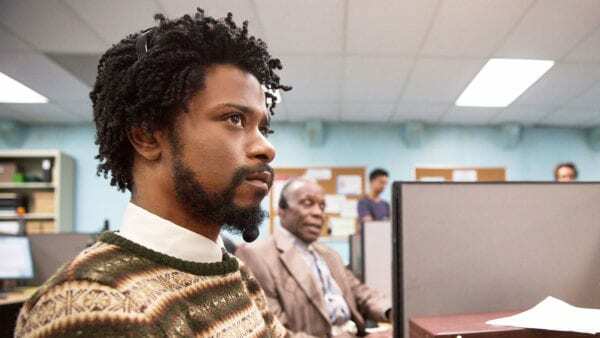 Sorry to Bother You is a stylised and entertaining debut from someone who is clearly going to be an exciting filmmaker. It will inspire a cult following and plenty of fans – but it is not everyone’s cup of tea.